New family and no time to fish. I’d be a fool to complain because my better half is already the catch of a life time, and the little man literally my beating heart. So what’s an angler to do with a passion for the water and zero time to be on it? Well first I’m going to make time. I want to teach my son my passions and hope he makes them his own. And even if he doesn’t- at least he’ll learn it’s important to pursue them and know it can be done. Next I’m going to surround myself with things that remind me of my desired pursuits. Color your world with the thing you love. And let’s be honest- aside from the cartoonish hula doll from a friend on his Hawian vacation… I could really class up the desk a bit. 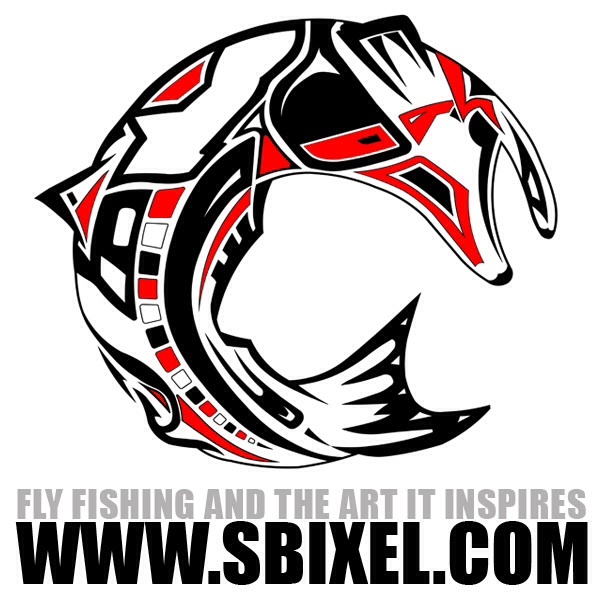 So, a big thank you goes out to Shawn Bischel, artist, angler and two dimential terra-pictorial enthusiast. 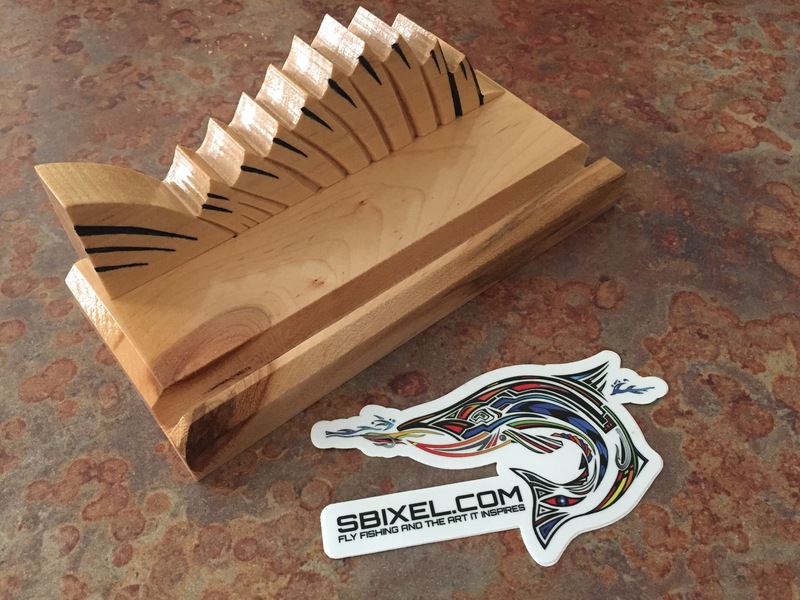 He’s the reason I have this sweet business card holder a la Guadalupe Bass. It’s ok, be jealous. Or get you one yourself here. Good to see you posting again. I don’t recall seeing a post from you in a while. I agree with all you said. I will add that by doing the things you are passionate about make you feel good thereby a healthier relation with others, especially family. If you can include people you care about then that builds strong bonds that last forever. Fly fishing is not a team event and is really hard to take little chitlens, so for now you take those trips waiting for that special day when they can join you. That being said, we need to hit the water again bro!!! Maybe next month we can squeeze something close in. I like the cardholder. This is a good Christmas idea. Thanks Jason, that’s why I always try to take you. And ha! Are you hinting at Christmas gifts? ?